Essie's nautical-themed Spring 2018 collection is such a pretty set of soft, versatile shades! There's a beautiful, dusty vibe to them that make them very spring-appropriate, though of course they're so lovely you'll want to wear them year round. First up is Essie Bon Boy-age, and it should come as a surprise to exactly zero people that this is my favourite of the bunch. I'm a total sucker for this sort of milky, jade-like colour. I used two coats, but you can still see just a little bit of visible nail line. 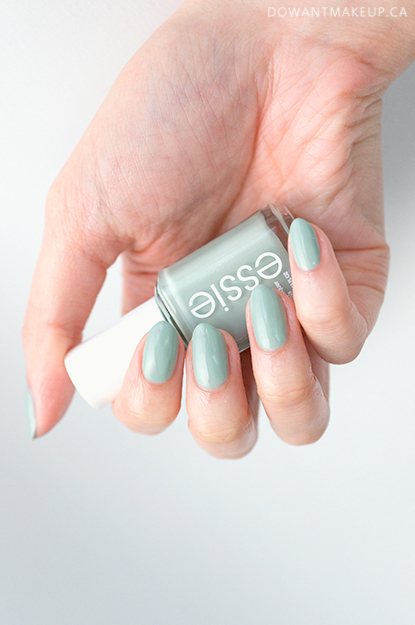 It's a soft mint, more muted than e.l.f. 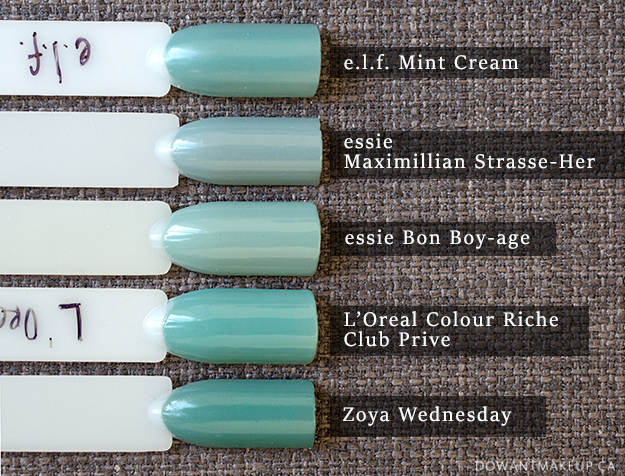 Mint Cream or L'Oreal Club Prive; it's very close to Essie Maximillian Strasse-Her, which is a touch more grey. 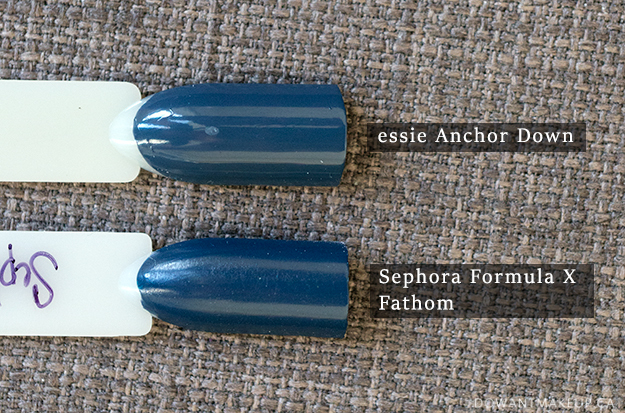 Anchor Down is a medium navy cream with a little grey. The closest match I had was Sephora Formula X Fathom, which is deeper and a little more vibrant. 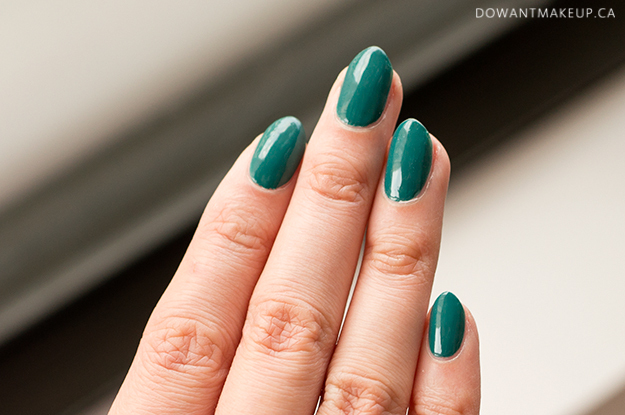 It's a relatively easy polish to apply, with two coats to full coverage. 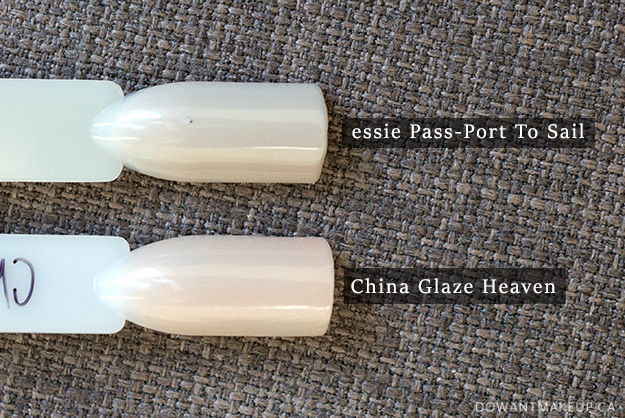 Perfect Mate is a slightly dusty, coral-pink cream polish. The closest I had was e.l.f. 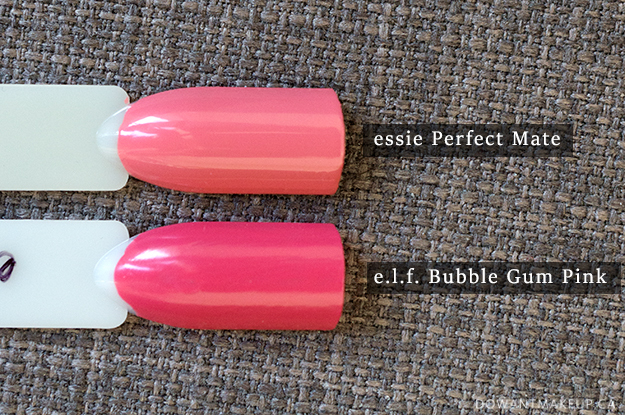 Bubble Gum Pink, which is clearly deeper and more vibrant. This was the main polish I used to paint in the flamingos for the flamingo nails I posted to Instagram. It's a fairly easy polish to apply and probably my second favourite of the collection. Stripes and Sails is a deep green, with not quite enough blue in it for me to call it teal. 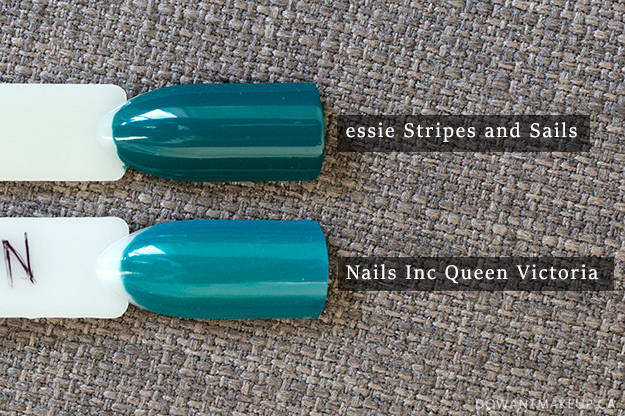 I was surprised that I didn't already have something similar--Nails Inc Queen Victoria is not as dark, but Stripes and Sails isn't anywhere near as dark as Essie Going Incognito. You can get a better sense of the slight muted tone here. This one was also fairly easy to apply in two coats. Overall this collection was so pretty and fun to play with. I didn't do a lot of plain swatching on my own hands this time around because (as you can tell if you follow me on IG) I was too busy painting nail art with them! Posts about those nails coming soon :> If you haven't already, def check this collection out before it leaves store shelves for good. Which shade is your favourite?